I have been on this culinary quest for good Italian food lately, and so when there was a Travelzoo deal for an Italian restaurant named Michael’s in Long Beach, I decided it might be worth while to give that a try, especially since the 5 course tasting menu seemed rather appetizing with its varieties of pasta dishes. Even on this rainy Sunday evening, the restaurant was somewhat busy, which was indeed a good sign. 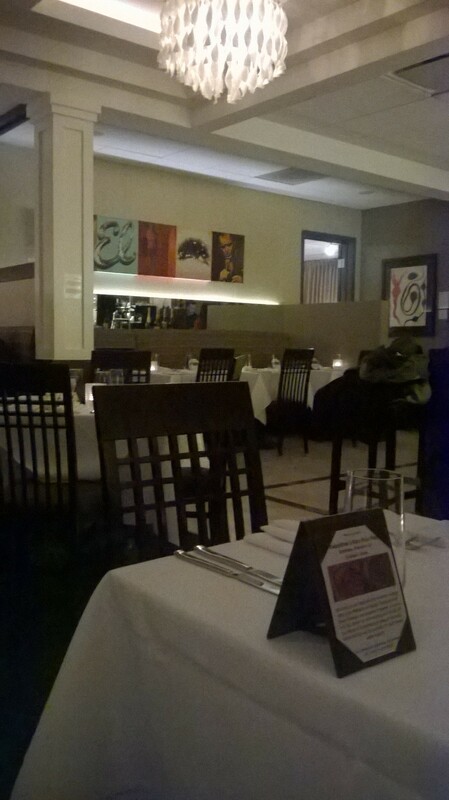 I was immediately impressed with how clean the restaurant looked and felt. The table cloth was crisp and white, and I did not feel the urge to wipe any of the silverware nor the plates with any napkins, in fact, this was one of the few times when I did not even ask for paper napkins. The service was very prompt and friendly. The waiter was right there soon after I sat down and asked me if I wanted any beverage. There were 2 tasting menu for the evening, and since we had already purchased the Travelzoo deal in advance, it was just a matter of waiting for the dishes to arrive. 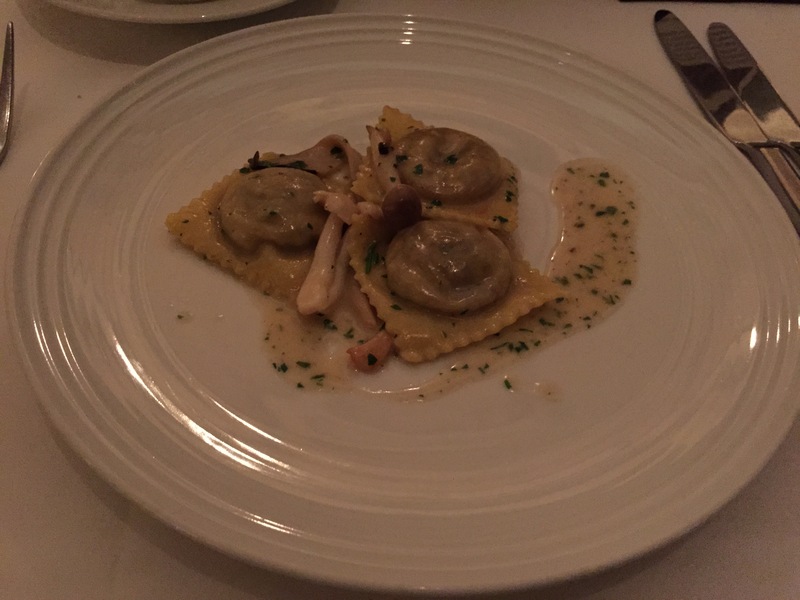 I was quite famished from not having much of a lunch, so the Ravioli with Mushroom was just what I needed to start, rich and creamy with the brown butter, so good. 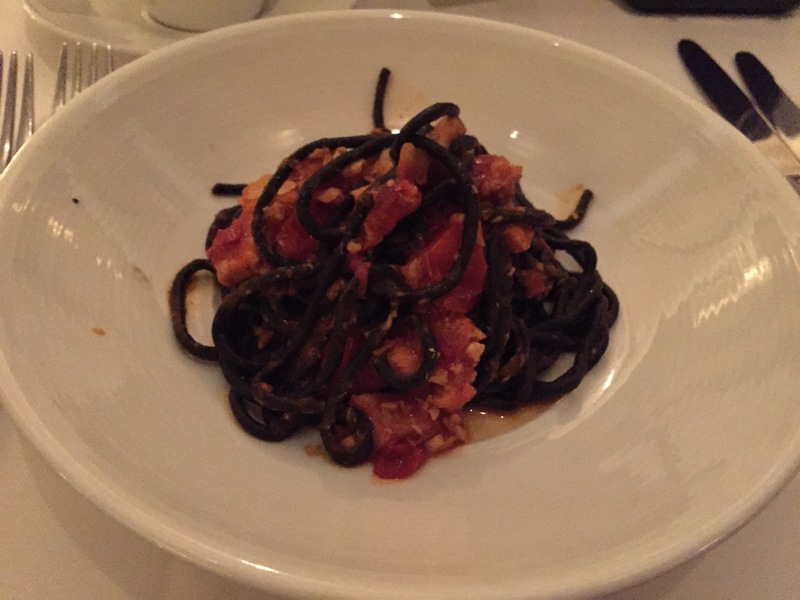 The Squid ink pasta with Fish in tomato sauce was equally delicious. 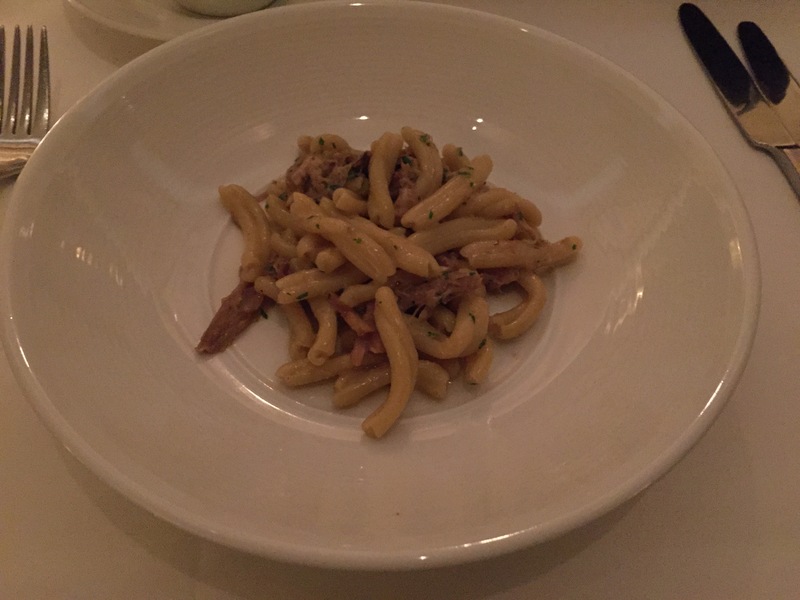 My favorite was the next dish which was a homemade pasta with duck meat – the pasta itself had really great texture, chewy and thick, with a creamy yet not heavy sauce. By the time the fourth course arrived, I was already a bit full. 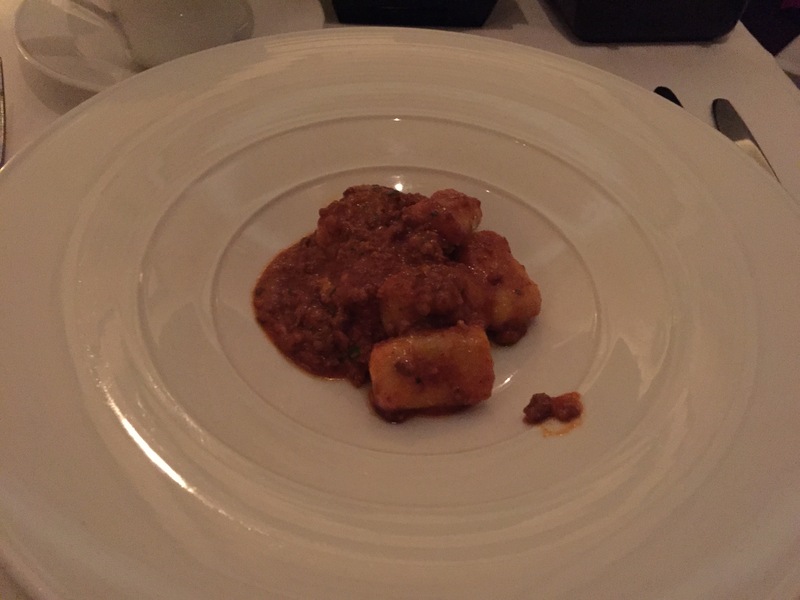 Even though not a big fan of gnocchi, the homemade version here was the best that I had tried – light and smooth. 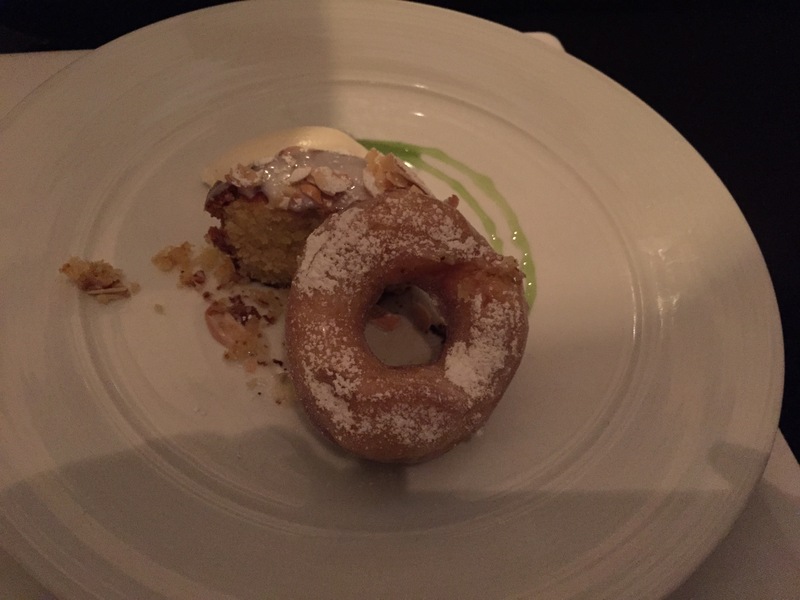 There were 2 Italian Donuts with orange glaze and an Almond Cake w/Vanilla Whipped Crream for dessert. The donut was quite amazing, fresh and warm, slightly crunchy on the outside, and the best part was that it was not sweet, and together with the hot, smooth coffee, it was quite a perfect ending to an exquisite meal.